Dubai, United Arab Emirates: Highlighting an urgent need to integrate sustainable values in K-12 education, Esol Education, the world’s largest operator of American international schools, is collaborating with world-renowned progressive educator and green innovator Stephen Ritz to jumpstart sustainability projects within existing and future schools. The collaboration will also explore developing a fully sustainable future school concept for Dubai, in line with UAE Vision 2021, a national initiative that aims to promote sustainable economic and social development by implementing green growth plans. An award-winning educator, a familiar face at the White House, and affectionately recognized as ‘America’s Favorite Teacher,’ Stephen Ritz is most widely known as the founder of the Green Bronx Machine, an initiative that has been recognized globally for its impact on advocating health and wellbeing through hands-on sustainability education. Set to arrive in the region on October 25, Mr. Ritz will visit Esol Education school facilities in Dubai and Cairo and view prospective school sites for the fully sustainable school. Mr. Ritz will also collaborate with the organization’s education team on curricular integration, working with current students on initiating sustainable projects within classrooms, as well as on planning and developing a K-12 whole-school framework dedicated to fostering sustainability, teaching students the benefits of building self-supporting communities, producing their own food, pursuing clean energy initiatives and raising environmental awareness. 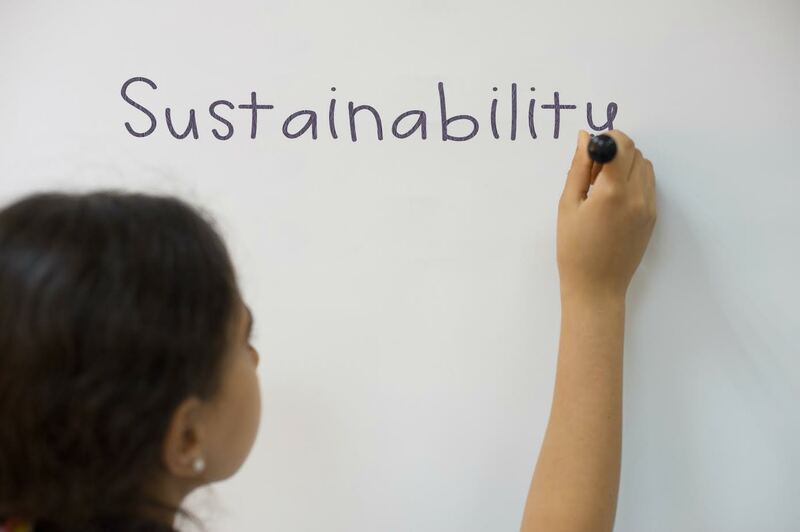 True to its mission to equip students with the knowledge, skills, and character necessary for success in the 21st century, Esol Education is moving to integrate sustainability values into its schools as a key to future generations discovering crucial solutions to the mounting issues humanity is facing as a result of climate change. “Given the reality of climate change and its far reaching consequences, the principles of sustainability are an essential component of international-mindedness and global citizenship,” said Mr. Tammam Abushakra, Esol Education’s Advisor to Chairman. Most Esol schools offer the IB Diploma track in the senior years, delivering a rigorous inquiry-based program, which incorporates modern teaching techniques and learning innovations. “By incorporating real-world applications of sustainable concepts with experiential learning opportunities, we aim to develop an environmental and social responsibility within students right from the early years, which they will carry forward in their future careers,” Mr. Abushakra added. As a key mover in the US educational system, Stephen Ritz believes that students should not need to leave their home communities just so they can live, learn, and earn in a better one. Mr. Ritz’s work on sustainability directly complements Esol Education’s aim to instill in their students a drive to become healthier, and to engage in various endeavors that will help them learn, understand, and implement the ideas of sustainability in their everyday lives. Mr. Ritz’s Green Bronx Machine initiative, now a K-12+ model integrated into the core curriculum of several schools in the United States, has taught students how to grow, eat and enjoy their vegetables and other nutritious produce, which results in healthier bodies and sound minds, essential tools that young people need in order to perform optimally. His newly opened National Health, Wellness and Learning Center in New York has been established as an educational model for tactile and experiential learning, embedding the concepts of sustainability, food, energy and environmental justice – causes that Esol Education actively supports in its bid to instill a green consciousness that graduates will cascade forward in the world as they take their places as leaders of industry. Mr. Ritz has electrified and inspired audiences of all types with his “Si, Se Puede” or “Yes, I can” message of hope, urgency, resilience and Amer-I-Can innovation. “I am very excited with my collaboration with Esol Education. Our objectives match perfectly, and we both want to teach the coming generations about how to improve their way of living by taking the initiative to build healthier communities,” relayed Mr. Ritz. The world’s largest operator of American international schools, Esol Education has been providing high quality K-12 education to students in the Middle East and beyond since 1976, across schools in Dubai, Abu Dhabi, Hong Kong, Cairo, Nicosia and Lebanon. The organization serves more than 10,500 students, facilitating the pursuit of knowledge in a stimulating, culturally inclusive environment. With a strong focus on providing the highest standards of educational excellence, Esol Education schools enjoy the benefits of experienced leadership, dedicated teachers and superlative facilities. Esol Education aims to develop well-rounded global citizens who are socially responsible lifelong learners. With a view towards preparing young people to meet the call of the 21st century, we measure our success through our students’ progress, performance and wellbeing. Our teams of educators use research-based, progressive teaching methods tailored to children’s individual needs, putting students at the forefront of their learning. Bright and articulate, Esol students take great pride in their education, going on to attend leading universities across the world.